Video "Friends with France": Watch potential future Premier of South Australia, Oona, uncover the friendship South Australia enjoys with France and the positive economic, social and cultural outcomes for the State. Over 30 top senior representatives from France’s principal businesses visited Adelaide in March. In the unprecedented context of privileged ties with France, this high-level business delegation, led by Mr Guillaume Pepy, Chairman of the French Australian Business Council, came to South Australia to explore business and investment opportunities in the State across a number of sectors including defence and aerospace, infrastructure and transport, energy and resources, environmental services and business services sectors. The Regional Council of Brittany took a delegation of organisations and businesses to London to cement relations with the UK arm of the South Australian Government, the Office of the Agent General. Over 40 participants took part, including representatives from Pole Mer, Bretagne Commerce International, DCNS and the Regional Council itself, led by Farough Salami-Dadkhah, Vice President in charge of International Relations. The South Australian Government is proud to be a sponsor of the 28th Alliance Française Annual French Film Festival which was launched with an opening party on Thursday the 30th March 2017 and the premier screening of The Odyssey at the Palace Nova Cinemas, Adelaide. The announcement of a $25 million Maritime Technical College has been welcomed by the State Government. Based in Adelaide at Techport Australia, the biggest shipbuilding hub in Australia, the Maritime College will deliver world-class training in key areas such as steel fabrication and naval engineering. Its announcement follows previous news that South Australian organisations and the defence industry sector had grouped together to form the Defence Industry Education and Skills Consortium (DIESC). This collaboration will provide a platform to enable delivery a maritime-ready workforce with skills in engineering, information and computer technology, and project management. The Adelaide Business School’s new partnership agreement with the prestigious KEDGE Wine and Spirit Academy in Bordeaux, France, signals a new era for the wine industries of South Australia and the nation. On 28 March, the SA Minister for Agriculture, Food and Fisheries witnessed the launch of the new partnership between the Adelaide Business School and KEDGE Wine & Spirit Academy with its Director Professor Pesme. An outcome of the Great Wines Capitals initiative, the MOU signals the intention for the two Schools to create and deliver innovative education and collaboration opportunities to support wine business, tourism and export growth. Adelaide has become the ninth Great Wine Capital. The city has accepted the Great Wine Capitals Global Network’s invitation to join French wine capital city, Bordeaux, and 7 other international cities. In preparation for the International Astronautical Congress (IAC) 2017, the world’s biggest space conference to be held in September in Adelaide, the president of French Space Agency, CNES, Dr Jean-Yves Le-Gall will visit South Australia and meet with Premier Jay Weatherill and Minister for Defence Industries Martin Hamilton-Smith in April. Register here to attend the Inventing the Future of Space conference. In September, the South Australian Government will be co-hosting a day-long Australia/France bi-lateral Roundtable Workshop with CNES and supported by the Department of Industry, Innovation and Science and the French Embassy. The workshop will bring together leading space stakeholders from both France and Australia to cooperate on joint projects. The French multinational software company, Dassault Systèmes, was in Adelaide in March to meet with members of the defence industry, academia and the State Government. The company has said the future submarines project is only the beginning of their plans for South Australia. The company has created a digital virtual model of Singapore and suggests the same could be done for Adelaide to support its ‘smart city’ strategic plan. Options to activate Gresham Street as a French quarter are currently being explored with the City of Adelaide to create a touch of Paris in Adelaide’s CBD. 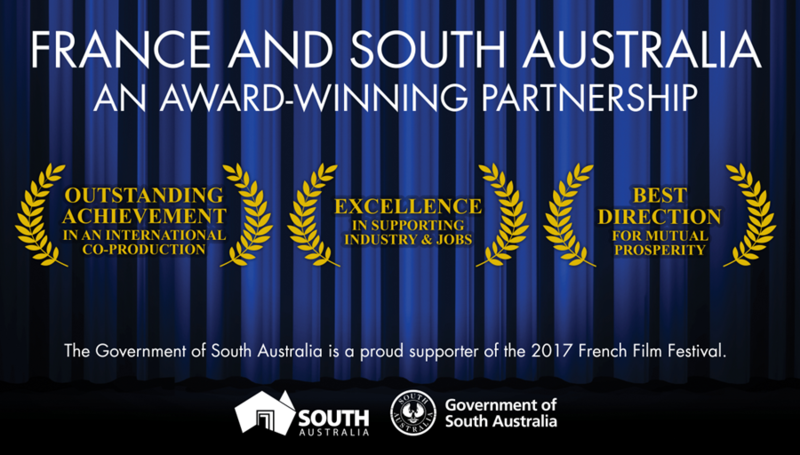 Strengthening business relationships between France and South Australia will be showcased in June 2017 when the French Australian Chamber of Commerce and Industry (FACCI) holds it its annual Business Forum series in Adelaide for the first time. The Premier of South Australia, the Hon Jay Weatherill, will give a keynote address during this event which will be held in Adelaide on Tuesday June 20. The South Australian Government is a Gold Sponsor of the Business Forum series. In December, the agency hosted a networking event for the FACCI SA branch, which was addressed by Minister for Investment and Trade Martin Hamilton-Smith. A South Australia-France Tertiary Education and Research Workshop will be held over 3 days in Adelaide on May 30. This jointly hosted South Australian Government and French Embassy event will facilitate the interactions between French and South Australian tertiary education, research and innovation ecosystems along with the aim stakeholders from across Australia in the future submarine contract. The event aims to determine ways to deal with the Defence workforce development, training and skills challenges through academic and research collaborations and to share best practices and mechanisms to strengthen bilateral cooperation. On April 19, the Ambassador of France to Australia, HE Christophe Lecourtier, will present a lecture at the Hawke EU Centre - University of South Australia. He will explore the many challenges facing modern-day Australia and France and will illustrate how both countries stand together to confront them, and also how together they can seize opportunities of the 21st century. Sponsorship is sought for the 24-hour Australian–French Entrepreneurship challenge in July 2017 in Adelaide. The French flagship event is co-organised by the French Embassy, 3 South Australian universities with the support of the French Association for Research and Technology and was successfully run in Australia for the first time in Canberra in 2016. In this challenge, groups of PhD students are given 24 hours to come up with innovative start-up ideas, pitting their designs against others. Open to students from a range of institutions and research backgrounds the challenge offers workshops and expert mentoring. Participants will display of resilience, creativity, teamwork and a willingness to take risks as they brainstorm and refine their ideas, ready to pitch. This national competition will provide participating institutions the opportunity to build networks with French businesses and institutions. The winning team, to be picked by a grand jury of expert entrepreneurs, scientists and managers, will be sent to France for a first-hand experience of the country’s innovation system. A memorandum of understanding has been signed between The Alliance Française and the University of South Australia. This newly created partnership will promote the French language, society and culture to celebrate the relationships between France and Australia. The Education Departments of SA Maritime museum of Port Adelaide and of la Cité de la Mer in Cherbourg (France), along with the Alliance Française of Adelaide, have collaborated for the first time, to release a pedagogical kit for teachers attending the screening of “The Odyssey” with their students for the Adelaide French Film Festival. Créative France in South Australia is an association of cultural and educational institutions. It was officially launched in March 2016 by the French Ambassador to Australia, HE Christophe Lecourtier. It aims to develop awareness of the shared history of France and Australia by fostering exchanges and creating public events. In 2017, the association’s principal collaborative project is an artist-in-residence program to encourage exchanges between French and Australian writers, scholars, artists. On Wednesday 5 Arpil, FACCI partnered with Adelaide Accueil to host an exclusive event at the Art Gallery of South Australia. A private tour of the Versus Rodin exhibition was followed by a networking event around fine wine and fromage. Adelaide Accueil is a volunteer organisation with a mission to welcome, inform and support Francophones and their families in around Adelaide. They have recently launched their web site which includes a calendar of events.